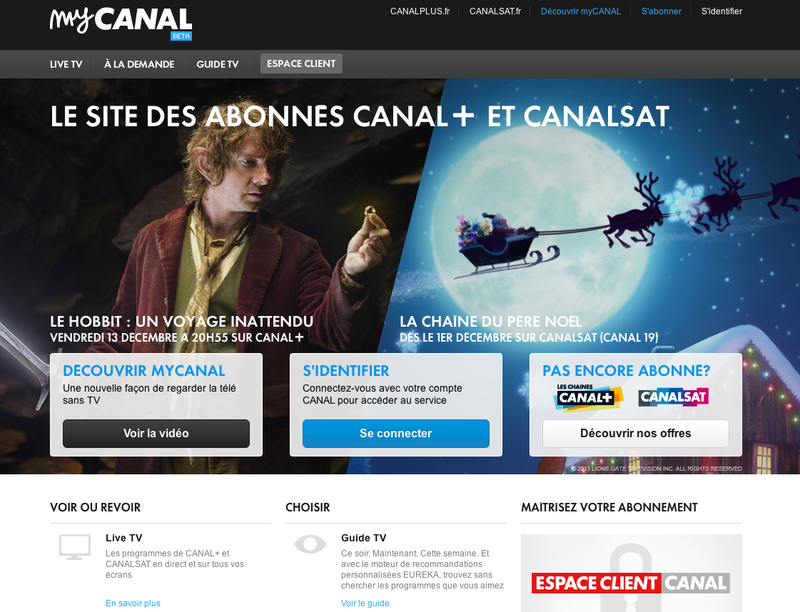 Canal+ has launched MyCanal, a personalised multiscreen service that allows its subscribers to access their programming packages on all screens. MyCanal allows Canal+ and Canalsat subscribers to access channels and services to which they subscribe with a single unified experience across PCs, Macs, smartphones and tablets. According to Canal+, the user experience is in line with that offered via the TV with the advanced +le Cube set-top. MyCanal gives access to 130 channels and over 4,000 VoD titles, accessible via a single Canal+ account. Content is available in multiple language versions and is delivered using adaptive streaming technology. MyCanal provides a unifed TV guide and personalized recommendation service Eurêka, remote recording and the ability to use tablets and smartphones to control the main TV set-top.